We had an excellent weekend in North Wales in Snowdonia prior to Lou and Mango leaving for Munich. 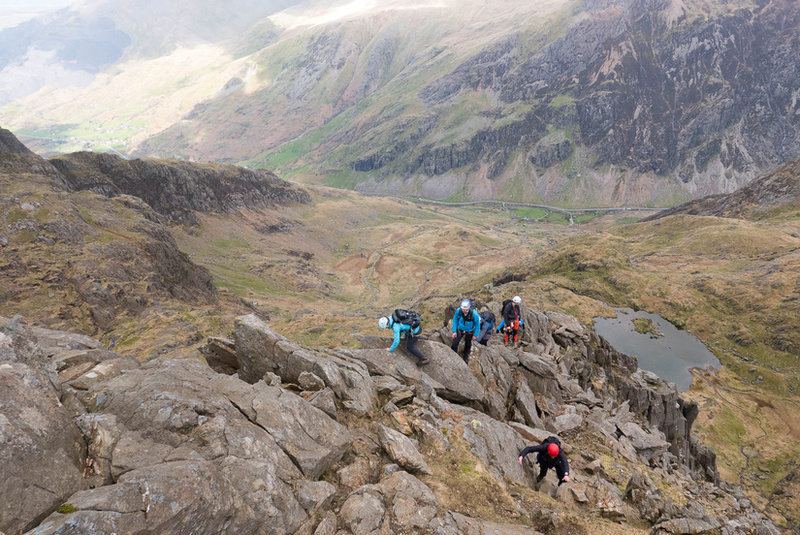 The first day was meant to be fairly damp, but we enjoyed a surprisingly dry day on the classic north ridge of Tryfan. 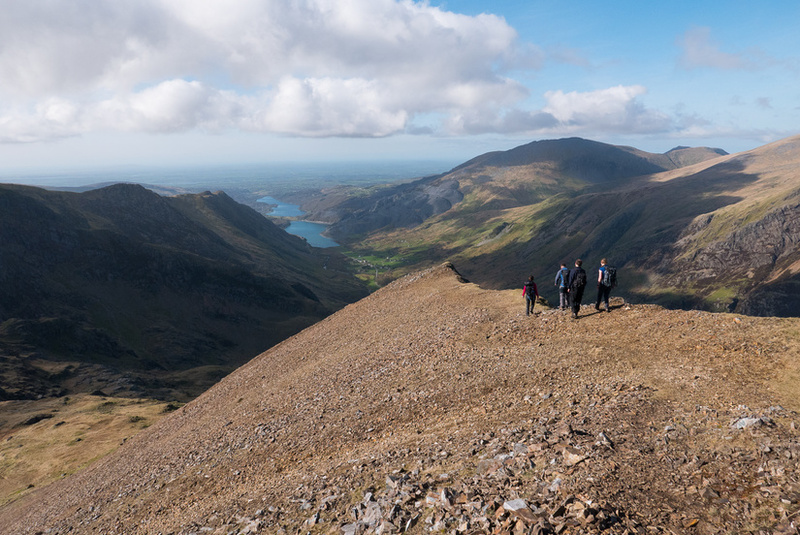 Instead of heading straight down we stayed high and headed over to Y Foel Goch which was an enjoyable end to the day and it was great to see a different perspective of Snowdonia. 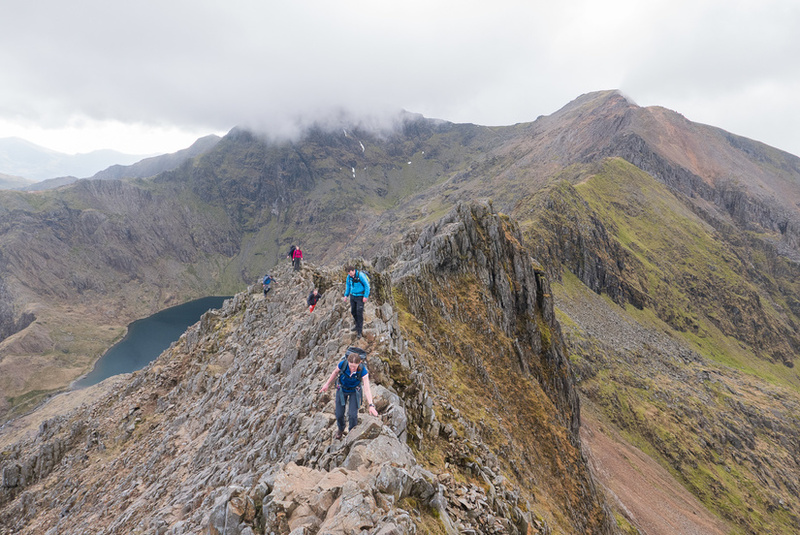 The second day had an excellent forecast so we decided to head for the classic scramble of Clogwyn y Person Arete which climbs a ridge up towards Crib y Ddysgl. 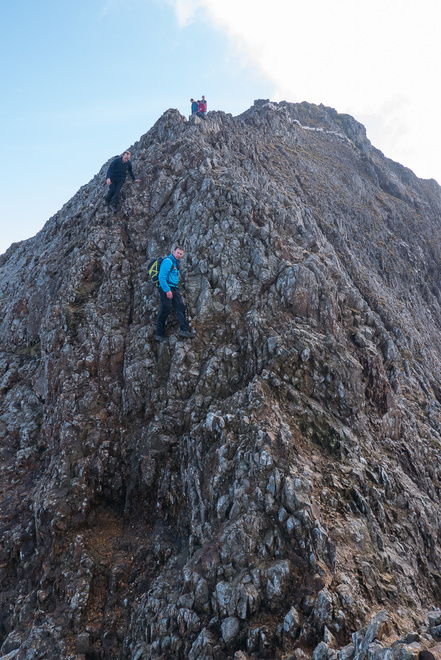 The scramble was excellent, with sustained scrambling for numerous pitches before the ridge eased and we were able to walk up to the top. It was just a shame that the route was in the shade! 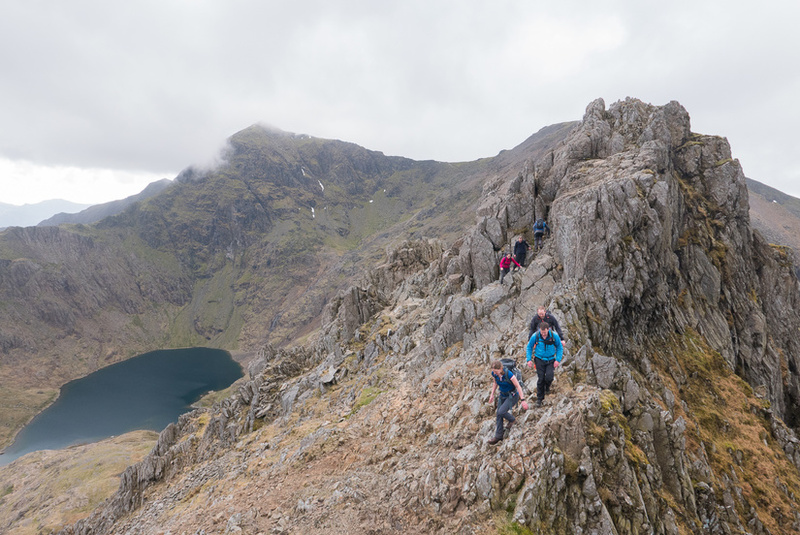 Unfortunately by the time we got to the top, Snowdon had started to form it’s own weather system which meant that we were still not in the promised sunshine. 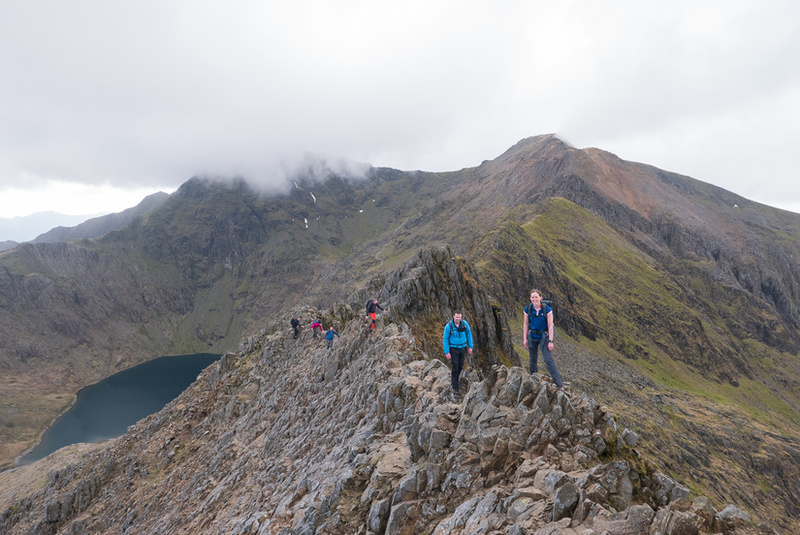 Thankfully we were still well below the cloud which meant that the traverse of Crib Goch was as stunning as ever. 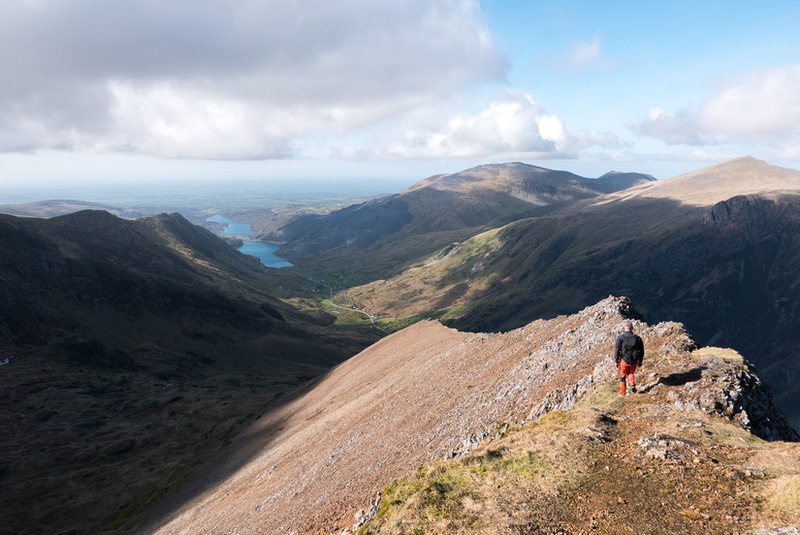 The descent of the North Ridge of Crib Goch was stunning with further airy scrambling and excellent views out towards Anglesey into the setting sun.